One thing about fashion is that it’s constantly changing. Everyone can get a little bored with their wardrobe or style. Wearing the same stuff every week can get a little tiring. However, not everyone has the money to just trash all of their clothes and go out and buy nine new outfits. With that being said,there are some things that you can do to spruce up your fashion a little bit. Improving your style doesn’t always mean you have to buy new clothes. Sometimes it just means you need the right thing to go with those clothes. One thing that a lot of men seem to lack are fashionable accessories. Buying accessories is a great way to spruce up your style without breaking the bank. Accessories like hats, glasses, scarves, and watches are in fashion right now. They are cheap and they do a great job at putting an outfit together. Scarves, especially, have a tendency to make people look very good. People can tell the difference between a close shave and a shave done by clippers. Using a classic shaving kit can give you a really nice, clean shaven look. There’s a reason classic shaving kit sales increased by 405% after the James Bond film, Skyfall, came out. They are very stylish and can give you a great look. This is extremely important for being more stylish. No one just wants to wear something on one occasion. Buy clothing that can be used in both formal and casual occasions. Cardigans and vests are great at achieving this purpose. A cardigan with a tie and a button-up underneath can look great at formal occasions. That same cardigan with a t-shirt underneath can double as great casual wear. It isn’t a lie that one of the first things a woman notices on a man is his shoes. You can wear all of the finest clothes made from all of the finest silks. However, if your shoes aren’t adequate, it’s just going to be distracting. Never disregard your shoes. They don’t seem like they should be one of the most important aspects of your style, but they are. While it’s nice to have a few guidelines, don’t be afraid to experiment with your style! Be unique! 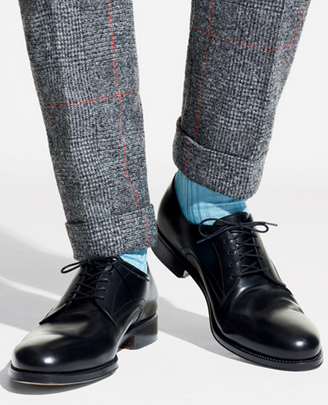 Take inspiration from Mad Men. Go out there and try new things. There are many cool ways to enhance your style. However, the most important thing is that you feel confident in your own skin. Your clothes aren’t going to matter if you’re constantly nervous about how you look. Go out there and exude confidence! Very good starter tips here! These is interesting every person want to be stylish and these tips sure helpful for them . I love to have blazer when I am out , it looks nice and also gives stunning look .